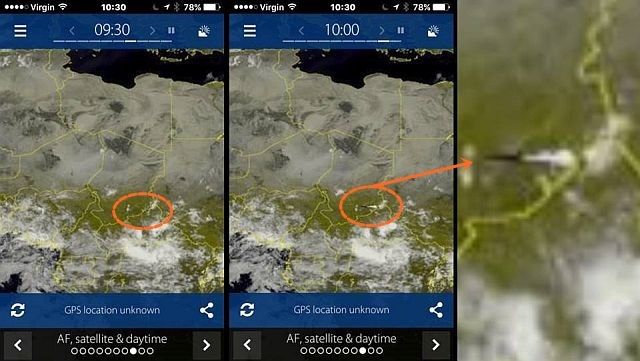 A resident of TD near Boston was looking at the weather on Sat24 and noticed a huge unidentified flying object moving at very high speed between north Sudan and Chad. These pictures are taken from sat24 Africa satellite and daytime map on 23 July, 2017 and show a satellite image looking at the sub Saharan Africa region, specifically the border between Sudan and Chad. At 09.30 there is nothing but cloud but at 10.00 you can clearly see something moving at high speed coming out of the border area between north Sudan and Chad. At 10.15 the object is bigger and by the distance covered travelling at a very high speed, then at 10.30 it is gone. 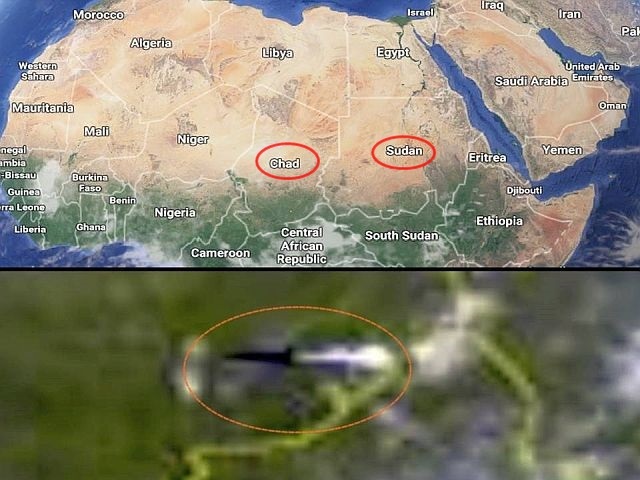 It seems to be coming out of north Sudan and curving into Chad in a SW direction. The witness states “Given the high speed and size of the object, it is absolutely no plane.” So, what is it, a rocket, a UFO? Mufon case 85291.